If you drive to the Hamptons this summer, you will notice the skeletons along the highway. They stand as stark reminders of a seemingly dead advertising medium – out-of-home. But, is it really dead? Or, has it merely turned? Yes, there’s a Walking Dead pun in there, we admit. But, listen up. Consumers today have an inexhaustible array of distractions. With brightly backlit screens of all shapes and sizes demanding their gaze, how can a static image, like a classic billboard, compete? Quite frankly, classic billboards are missing two critical features: interactivity and in-the-moment-connectivity. Without these now-everyday features, classic billboards have become easier for drivers to ignore. Only with great concepts and execution, do classic billboards stand a chance, which sets the bar for success so much higher. Yes, there are still fantastic, effective classic billboards, such as Ogilvy and Mather’s Tylenol “Get Back To Normal” campaign, but these successes are hard earned and decreasingly common; as well as taking additional conceptual genius or non-traditional experiences to pull off. Digital or non-traditional billboards offer a number of advantages over their vinyl cousins. For starters, advertisers are no longer limited to roughly seven words and an image to get their client’s point across. They now have more creative freedom to advertise their products. Words and images can be refreshed to feature new messages and displays. Matt Richtel of nytimes.com describes the versatility of digital billboards, stating that “Images change every six to eight seconds, so advertisers can flash timely messages — like the latest headlines, coffee deals at dawn, a cheeseburger at lunchtime or even the song playing on a radio station at that moment.” Additionally, digital billboards are far brighter than classic billboards and dynamic movement on-screen stimulates attention and focus. The technological flexibility of digital billboards provides the opportunity to make outdoor ads into a live-stream viewing experience. Each digital billboard features a dedicated Internet connection so that news and events can be streamed live on-screen. Steve Hall of marketingland.com explains one successful example of live streaming in which digital billboard company Lamar Advertising worked with the NCAA to stream this year’s “March Madness game scores in real time and in geographies specific to college locations”. The tournament’s opening game between Manhattan College and Hampton University featured highlights and score updates on billboards in the home markets of Dayton, OH and Richmond, VA. Over the course of the tournament, the 68-team bracket was displayed nationally and transformed as scores went final and teams were eliminated. Lamar advertising took their campaign even further by adding social media interactivity. Using the hash tag #BillboardBrackets, the tweets of certain users were streamed onto the digital billboard display, as well as posted on a dedicated March Madness Facebook page. Interactive digital billboards are the most successful form of new outdoor media. 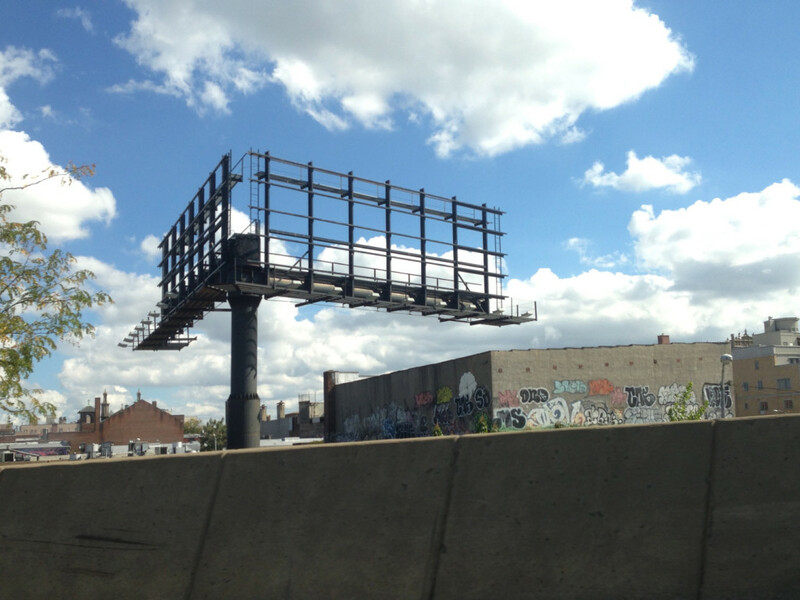 These billboards make a lasting impression by jettisoning the viewer into the advertisement. Yes, digital billboards can interact with consumers via social media similar to Lamar’s March Madness campaign, but that’s just the beginning. In 2014, British Airways’ “Magic of Flying” digital billboard campaign amazed by taking viewer interactivity to a new level. Abbey Klaassen of adage.com describes OgilvyOne’s revolutionary billboard campaign by stating, “Digital billboards in key London locations featured creative that encouraged passers by to look up and spot the aircraft flying overhead. A message on the board pointed out the flight’s city of origination.” The billboards near Heathrow and at Piccadilly Circus featured children playing and pointing off-screen to the British Airways plane passing above. Each billboard included the call to action #lookup that linked consumers to location details, price alerts, and booking engines on the British Airways website. The technological achievement and simplistic interactive brilliance of the campaign earned the Grand Prix at the Cannes Lions International Festival of Creativity in the Direct category and a Golden Pencil from The One Show. Interactive billboards will get the attention of consumers in even the most distracting locations. Times Square is the king of sensory overload and consumerism; consequently interactive billboards have become a way of life in New York’s busiest neighborhood. In 2013, American Eagle and R/GA teamed up to create the “15 Seconds of Fame” campaign to advertise their new flagship store. According to R/GA, “After a purchase, customers are invited to pose in a mini photo studio to have their picture taken. Moments later, the picture and a personal message appears on 15,000-square-feet of exterior digital signage for all of Times Square to see.” The campaign was an instant success, drawing in crowds of excited customers ready to purchase merchandise for their chance to be momentarily famous. Google also recently invested millions in the largest digital billboard in Times Square. The signage was the size of a city block: measuring 77 feet tall, over 300 feet long, and more than 20 million pixels in total. The ad promoted many of the tech giant’s most well known products, especially Android and the “Be Together. Not the Same.” campaign. According to Sean O’Kane of theverge.com, the billboard provokes “passersby to “Androidify” themselves by creating a personalized version of the Android Robot…each person’s creation eventually appears somewhere on the billboard, and while people wait there are options to get a postcard or shirt emblazoned with their newly-created likeness.” Google excites consumers to create an identity within the brand by creating personal avatars—with the payoff being an appearance on their massive digital signage—that establishes a valuable emotional connection with Android. What’s better than the CONSUMER being the spokesperson? Digital billboards have permanently changed outdoor media for the better. Thanks to the technological sophistication of these new boards, advertisers now have more tools to compete with a world full of distractions. Even though one can argue advertisers have actually “created” the distractions! While digital billboards may only constitute roughly 1-2% of the 400,000 billboards across America, times are changing. A recent report from digitalsignagetoday.com predicted: “the total digital signage market is expected to reach $23.76 billion (from $14.63 billion in 2015) by 2020, at a CAGR of 8.18 percent between 2015 and 2020.” It is only a matter of time until digital signage dominates the entire outdoor media market. So, while cursing the traffic on your way to the Hamptons, take a look at the skeletons that litter the expressway. Soon they will probably be transformed into media channels that connect socially and interactively. With the adoption of new technology and the immediacy of transformative ideas, out-of-home advertising is far from dead. ← Brand contradictions, fight them off at all costs.